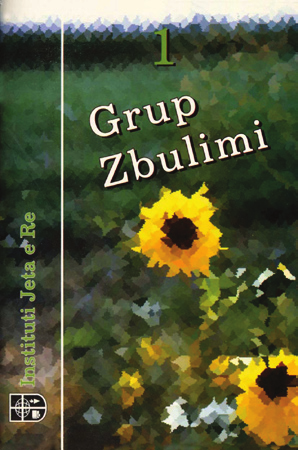 Studime biblike t� ndara n� tri kategori. N� librin e par� do t� m�soni m� shum� p�r bazat e jet�s s� krishter�. N� t� dytin do t� thelloheni n� kuptimin e disa t� v�rtetave mjaft t� r�nd�sishme p�r �do besimtar. N� librin e tret� do t� aft�soheni t� p�rfshiheni n� planin e Per�ndis� p�r arritjen e bot�s. Nga Instituti "Jeta e Re", botuar ne shqip nga Instituti "Jeta e Re" (Campus Crusade for Christ) ? A three-part bible study series. In the first book, you will learn the basics of christian life. In the second, you will grasp a deep understanding of some important truths about every beliver. In the third book you will be enabled to get involved in the overall plan of God for reaching the world.